International Women’s Day is celebrated annually on March 8th to commemorate the women’s right movement. Surrounded by much controversy over the years, global marches still signify and stand for a shift in gender equality and mistreatment. 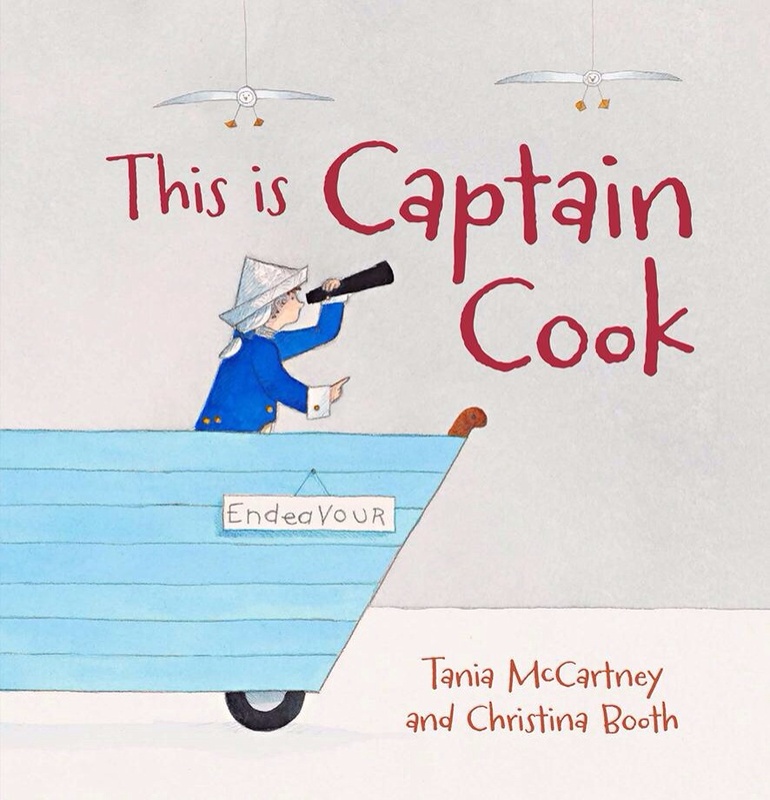 So, with a strengthening power in facilitating strong girls and women, and equally credible boys and men, let’s celebrate this significant day with a couple of influential and empowering picture books for children in the early years. 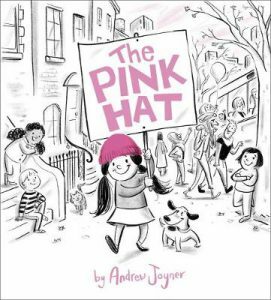 Inspired by one of the largest political demonstrations in history, the Women’s March in January 2017, The Pink Hat by Andrew Joyner is a jubilant celebration of women’s rights in a subtle and playful tone. 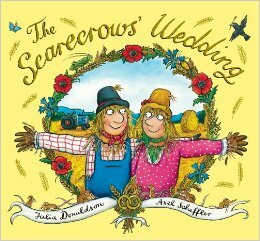 This is not a book that shoves political issues at children, but rather a quiet sentiment of coming together as a community with a sound common ground and purpose. 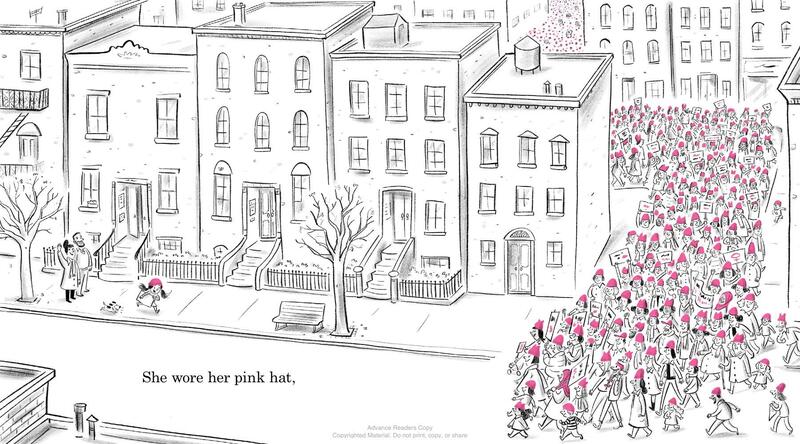 The entirety of the book culminates with the focus on the pink hat, the symbolic object uniting the town – the women, the children, the mixture of cultures and races, and ages, and even some men. All of Joyner’s superlative illustrations present in shaded black and white line drawings, except for the pop of the fuchsia pink beanie and some pink rosy cheeks. The hat begins with a grandma, a beautiful representation of a dignified, and very tech-savvy, woman who loves to knit. The cosy knit is then transported on its progressive journey as it is passed from the paws of her playful cat, to a ‘hard-to-reach’ place, acts as a comforter for a baby to the snatching jaws of a runaway dog, and into the hands of a young girl who enjoys its many uses. 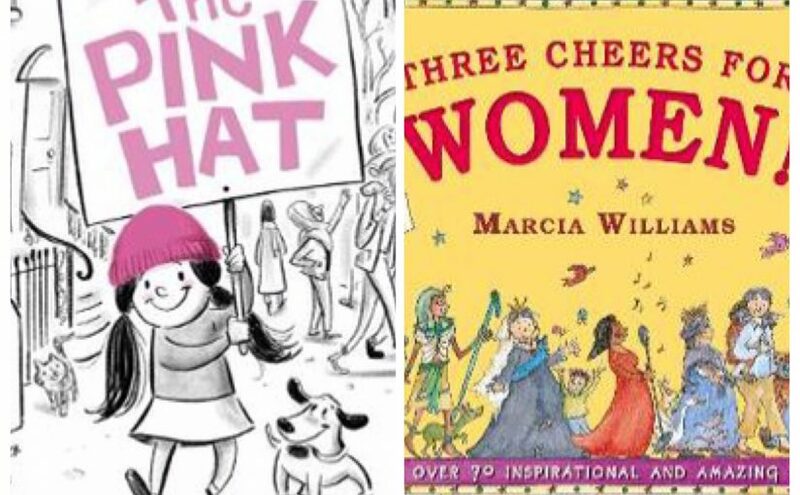 And one day the girl discovers that her beloved pink hat has begun a movement of its own, with a rally of pink hat-wearing people gesturing placards with “Women’s Rights are Human Rights”, “Girl Power”, “The Future is Feminist”, plus more. 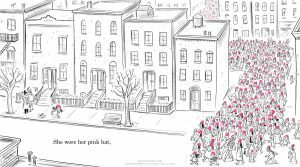 The Pink Hat is a story that promotes awareness and discussion of the events of the social campaign, without being didactic or heavy-handed. It is rather an engaging and enlightening read that sparks the thought for cause and effect, in more ways than one. 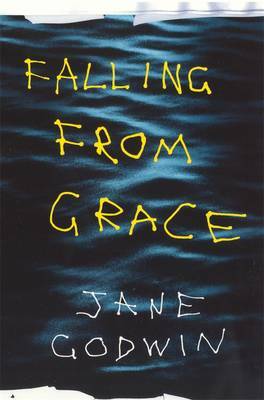 Random House Australia, January 2018. 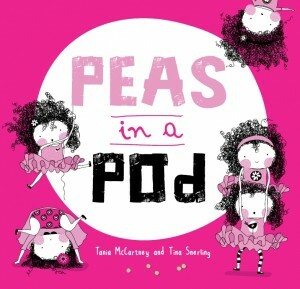 Now here’s a book that celebrates women! 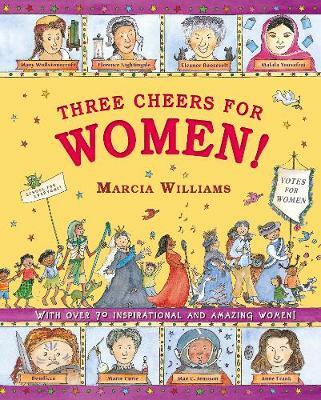 With over 70 inspirational women in history, it’s Three Cheers for Women! 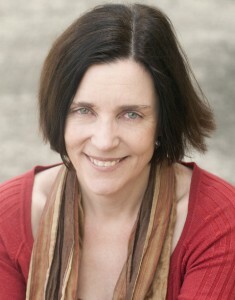 by Marcia Williams. This large face non-fiction title is jam-packed with fascinating information, vivacious cartoons and fun commentary by supporting characters. It is a terrific resource for the primary classroom or bookshelf at home, with so much to pore over and discover. Beginning back in Ancient Egyptian times, the first female to feature is Cleopatra VII, Queen of Egypt c. 69 BC – 30 BC. In comic-style, illustrated text boxes and speech bubbles we learn about how Cleopatra came to rule at eighteen years old, to be overpowered by her younger brother and then regained the throne by raising a winning army until her death at age 39. To follow in the same page formatting are fearless fighters like Boudicca; Warrior Queen of the Iceni, and Joan of Arc; the Teenage Warrior. As eras progress we meet queens such as Elizabeth 1, legendary authors like Jane Austen, pioneers in health including Florence Nightingale and Marie Curie. There are the Human Rights Activists, Eleanor Roosevelt (1884-1962), and Malala Yousafzai (1997- ) who became champions in helping underprivileged people and standing up for equal rights. Our own Cathy Freeman features, too, as Olympic hero for uniting a nation and fighting for the rights of Indigenous Australians. The book concludes with pages identical to the classifieds section of the paper, listing more amazing women in leadership, sports, creative, pioneering and scientific roles. And a final note from the author leaves a task for the reader; many women had to be left out of the book, but who will you add to your list of inspirational women and girls? 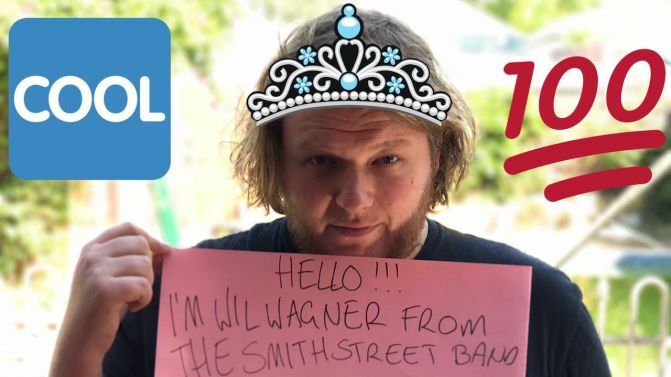 Three Cheers for Women! is absolutely fascinating, written with a mixture of factual interest and candid anecdotes to keep readers engaged at their own pace. Never discounting the achievements or abilities of boys, this one really empowers girls with the power to do something world changing. Walker Books U.K., November 2017. Summer school holidays for me are childhood memories of searing hot days in a sun-shrivelled backyard, homegrown apricots cold from the fridge after a swim in the above ground pool, and losing myself for hours on end in stories. What are your perfect summer holiday memories? 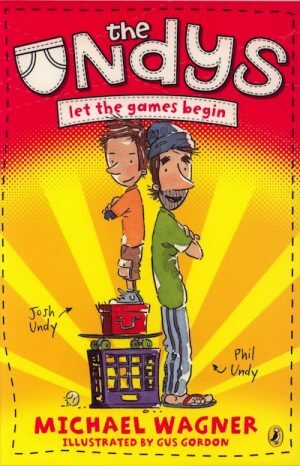 Chances are your children’s summers are crystallising into something unforgettable as we speak and although game-playing is much more sophisticated and consuming than my days on the old Game and Watch Nintendos (Go Snoopy Tennis and Parachute! 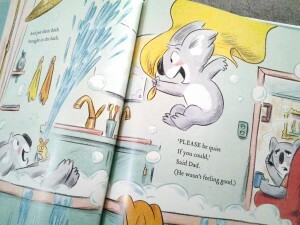 ), here’s hoping story books still play a significant role in their holiday adventures. Here are some outstanding titles that are perfect for sharing these holidays. Picture books, yes, but hum dingers they are! 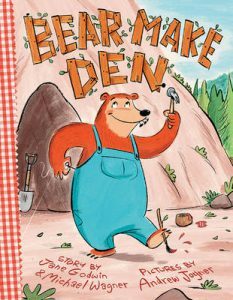 I am falling more in love with and in awe of Danny Parker’s work with each new release. 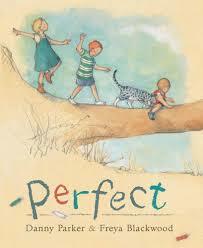 Perfect, illustrated by Freya Blackwood wildly perpetuates this love affair. 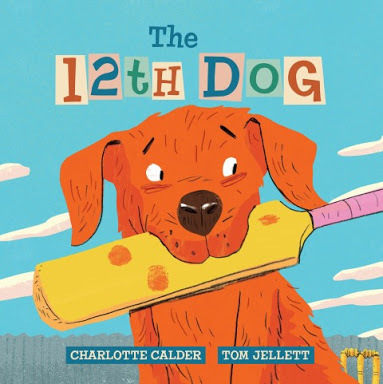 As revealed in a recent seminar, Parker uses song-like nine syllabic rhyming verse (akin to kuji mantras) to eloquently describe three children’s summer place and activities. It’s superbly simple and concise yet captures each moment of the children’s life with astounding alacrity. They lounge in the sunshine, mix and make, break and create. They meander and breathe, soar and believe until storm clouds pen them indoors. Their days are full of scheming, with nights of ‘beautiful dreaming’. Perfect, quite simply…is. 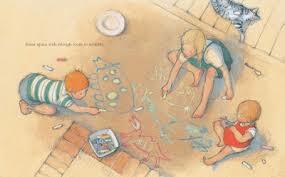 Crisp, clean and wholesome smudged with daring that belies the adventure of the children’s days. Summer essence is beautifully bound together with Blackwood’s timeless pencil and acrylic painted illustrations; delicate and creamy, exuding a fullness of spirit that only children with no restraint of time or imagination possess. A perfect portrayal of freedom and joie de vivre. 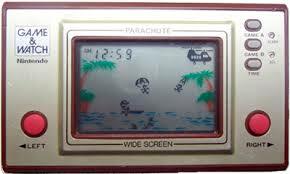 Better than Nintendo! Read more about these two creators and Perfect in Romi’s post, here. Another better than perfect picture book to place up front and foremost on your bookshelves this summer is Tania McCartney’s and Andrew Joyner’s, Australian Kids through the Years. This is blindingly brilliant. At first, I had a niggling concern that the target audience (5 – 8) might suffer some disconnection with the past, it being so far away from yesterday for them and their collected reference frames, but I was happily wrong on this account. 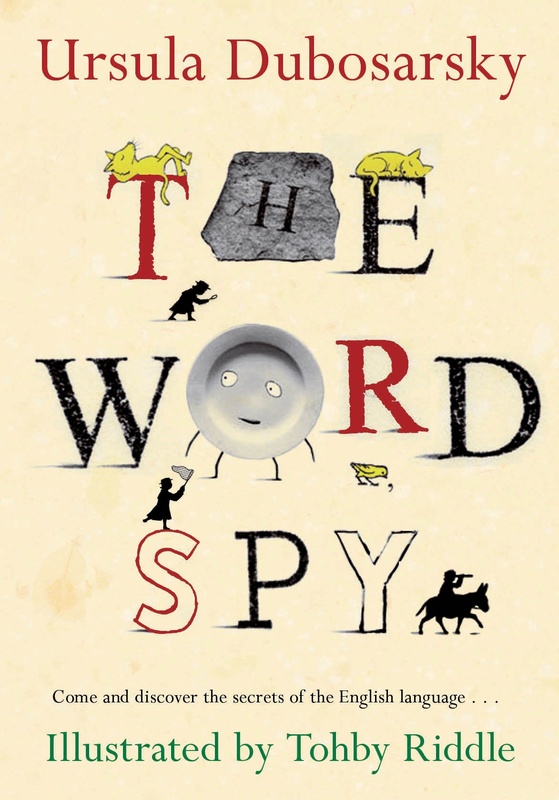 My Miss 9 adored every page, every era, every word, and every image (yes, even the 80s) of this unreal expose of kids’ lives from the very first inhabitants to present day. 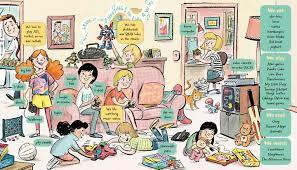 What they ate, wore, played, and even read is faithfully recounted in kid-friendly pictures and bubble boxes. 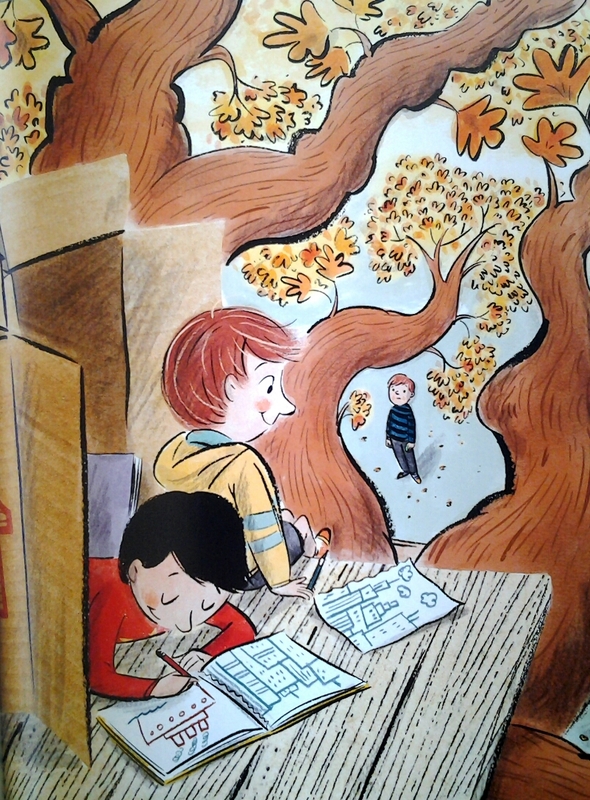 There’s a real personal intimacy with the kids from each time period created by McCartney’s short and sweet vignettes so joyfully illustrated by Joyner. 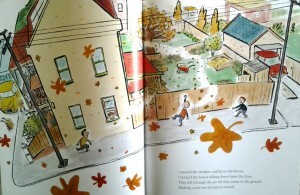 (His illustrations smack of Little Golden Book, old-world charm – a perfect match for the text). 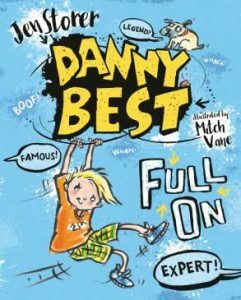 So much more than a catalogue of that-was-then facts, Australian Kids Through the Years brings hysterically accurate information right back into our lives (hysterical because I still own a Walkman) and is absolutely brilliant to share with today’s Z Generation. My Miss Z revelled in the revelations. (Yes, Mummy really did love her dragster bike). A must for homes and schools, and late-20th Century tragics like me. You’ll be digging out your Nintendo after reading this, too! Timelines and listings of illustrations are all faithfully included, as well. 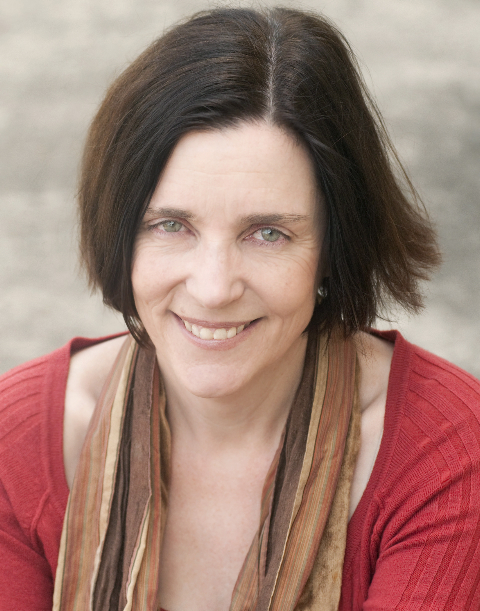 Read Joy Lawn’s Aussie round up on good reads, here. 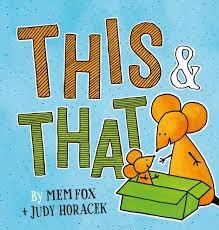 It’s been a little while since the Mem Fox / Judy Horacek duo joined forces. Not since their Where is the Green Sheep? 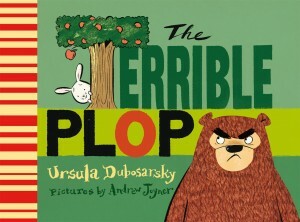 have I read a picture book so many times in one sitting. Happy to report some fresh material is now available to rest your sheep-weary sensibilities and, ironically, Horacek’s iconic sheep make a fleeting cameo in, This & That. Essentially a tale for the under fours, This & That is robust and short enough to go a few (dozen) rounds at bedtime. 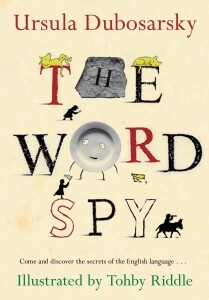 Fox focuses her balanced prose with simple rhyme and rhythm mixing fantastical improbabilities with silly acceptability. They are stories, made up for your amusement after all. Horacek’s clean-lined illustrations embellish the possibilities even further. I love her use of pinging colour and light and shade. This & That has a vaguely familiar feel to it but it’s a formula that works a wonder, if Green Sheep is anything to go by. Not all of Fox’s work works for me but this one has been worth the wait. Guaranteed to be the new go-to bedtime favourite these holidays. 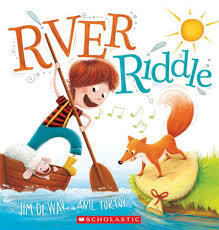 If you’re anxious about your kids’ minds slipping in a soporific summer stupor fear not, this fun picture book, River Riddle by first time team, Jim Dewar and Anil Tortop will keep them (and you) engrossed in many minutes of contemplative thought, or in my case many many many minutes. You see, this tale is based on the well-known kids’ logic puzzle and those two words (logic and puzzle) reside uncomfortably in my head. I just find this difficult! That is not to say, impossible. Dewar’s clever rhyming quatrains ably set the scene and pace for Jack whose aim is to make it to the market with his bag of hay…on the other side of a deep wide river. 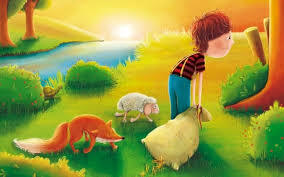 His companions, a fox called Frank and a sheep called Dolly are not to be trusted on their own so in spite of a small boat being available for their river crossing, the dilemma of whom to row across first and whom to leave on shore till later arises. Turns out, Jack is smarter than I am and solves his river riddle but does he make it to the market in time? 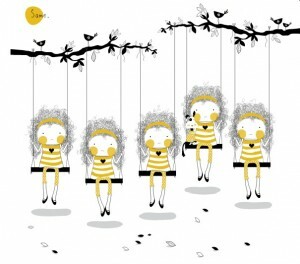 Tortop’s kid-cute digi illustrations are boisterous, bright, and cheery. 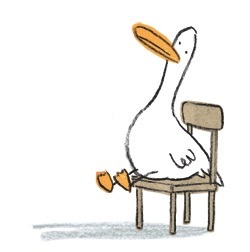 My primary schooler had loads of fun recreating this story and acting out ‘the crossing’ with her toys in a mathematical logical way; again, I had to leave the room so confused did I become. This is the kind of holiday pre-occupation you’d pay for, am I right. 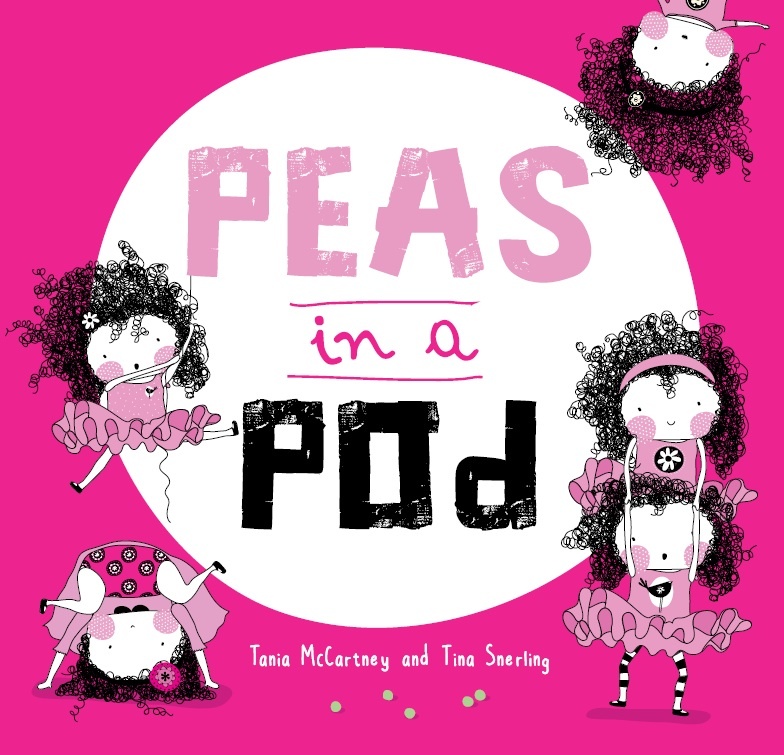 Great for small minds and big thinkers. 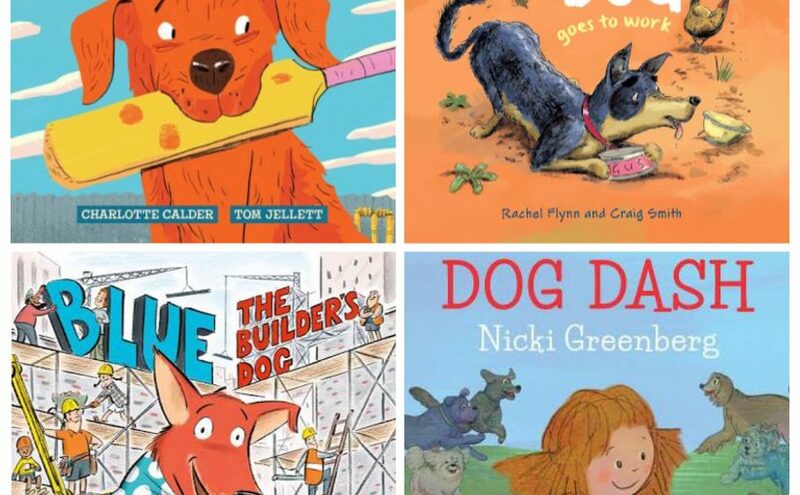 If none of these holidays reads suit you, discover more here at the Kids Holiday Reading Guide 2015 – 2016. 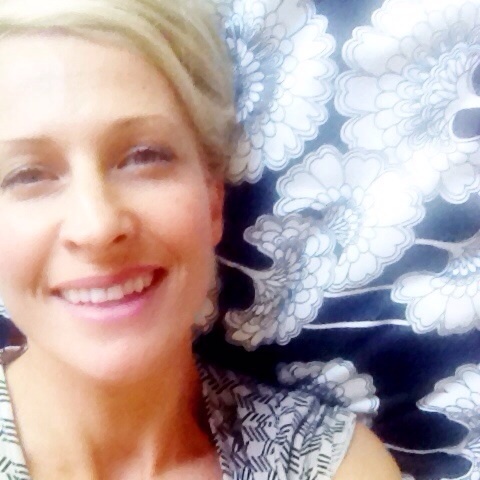 To all who have read, wept and laughed at my words and those of so many others this past year, a heartfelt THANK YOU. Have a great Festive Season and a safe, story-filled New Year! I’m off to scoff a few fruit mince pies and of course, keep on reading! There used to be much anticipation and excitement about children’s annual book ‘treasuries’ and other compilations. 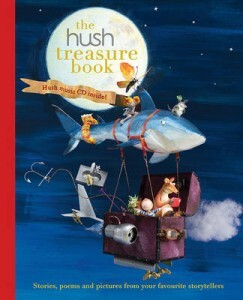 Now we have The Hush Treasure Book (Allen & Unwin) to dip into. This book is special for two reasons. Firstly, it takes the Australian charity ‘Hush’ into the world of books. 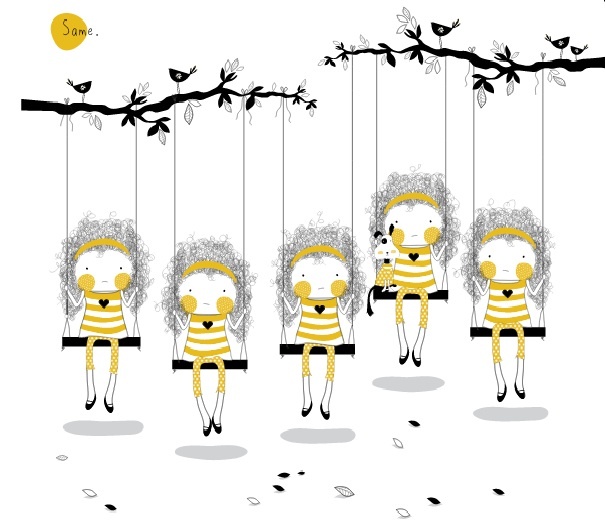 The specially composed Hush CDs have been bringing music to children in hospitals since 2000. There are now fourteen ‘albums of original music to bring peace and hope to patients and their families’. A CD also accompanies this book. 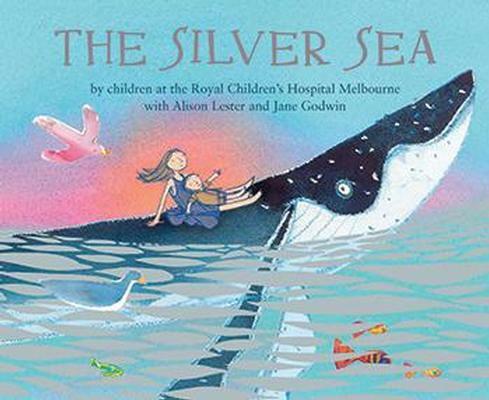 Secondly, The Hush Treasure Book is a ‘treasure’ of Australian authors and illustrators of children’s books, including the successful partnerships of Glenda Millard and Stephen Michael King, and Mark Greenwood and Frane Lessac. Talented Karen Taylor has imaginatively edited the book with lovely attention to detail and Lee and Kevin Burgemeestre have designed the cover and title page. 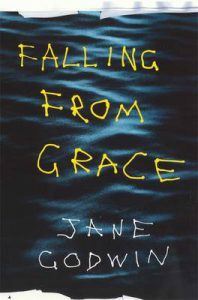 The book can be read through from beginning to end; or poems, short stories and other works could be chosen to suit the reader, an occasion or mood. 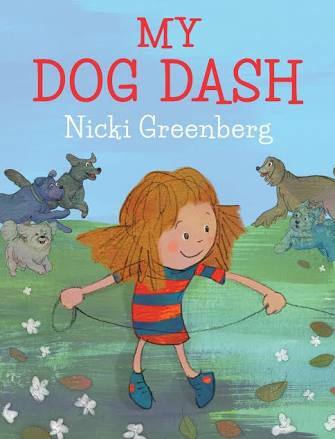 Short stories include ‘Doctor Maddie’ by Danny Katz, illustrated by Mitch Vane about sick Honey Bear, and ‘The Best Horse of All’ about a carousel, written by Margaret Wild and sumptuously illustrated by Julie Vivas. My favourite story is the longest one, ‘Ghost Motel’ about a seemingly creepy motel, by Jackie French and Michael Camilleri. 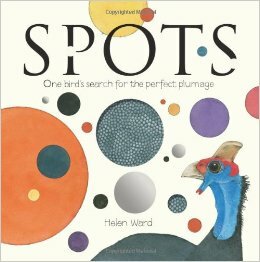 Poems include ‘We can see the world from here’ written by Jane Godwin and illustrated by Anna Walker, which is apt for a child in bed; ‘Nothing to be scared of’ by Doug Macleod, illustrated from soaring bird’s-eye views by Craig Smith; ‘Oliver’s Town’ by Nick Bland; ‘Ward’ by Shaun Tan (complete with an illustration of an owl); and an exuberant, rhyming poem by Karen Tayleur and Ann James, ‘Dot the Tot’. There is an amazing, beautifully constructed maze by Judith Rossell, which kept me fascinated till I completed it. What a clever addition to a book for children in bed. 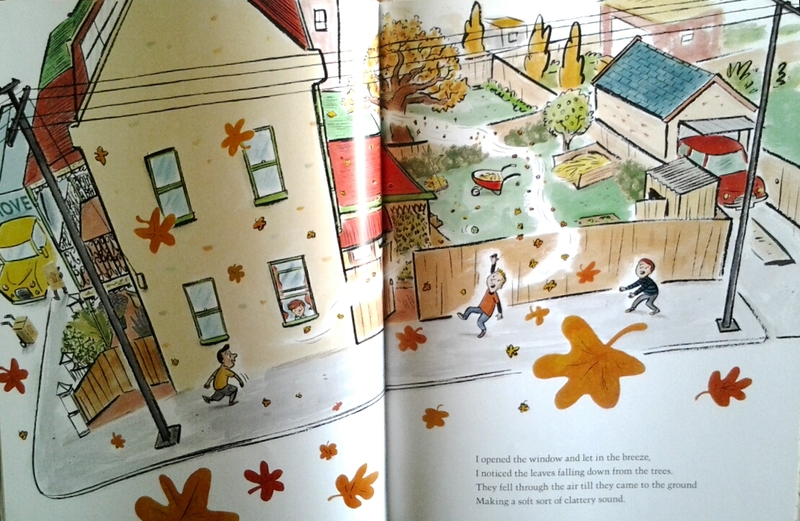 There are also pieces by luminaries of Australian children’s literature Tohby Riddle, Alison Lester, Bob Graham and Jane Tanner; talented newcomers; and a wordless double page spread by Bruce Whatley, which seems to be paying homage to the style of Gregory Rogers. 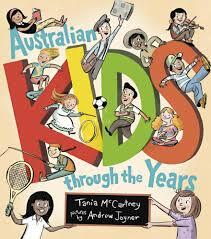 Another wonderful book to browse through is Australian Kids through the Years, written by Tania McCartney with pictures by the inimitable Andrew Joyner, published by the National Library of Australia. 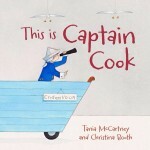 This is a non-fiction text in picture book form. 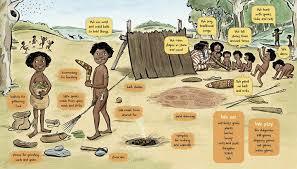 It looks at children from the first Australian Aboriginal children, the 1800-1840s, the 1850s on the goldfields, 1900-1909, the 1950s and each successive decade until the present. Many of the children come from different ethnic backgrounds. 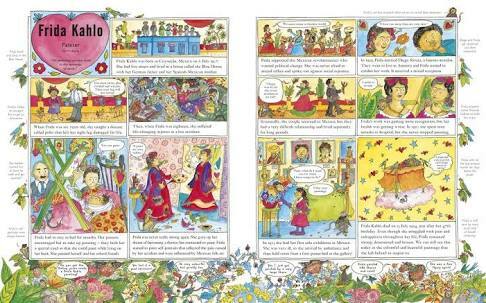 Each era is described over two double page spreads, with an introduction to the children featured and then a double page of detailed illustration showing what the children, and those around them, are doing. 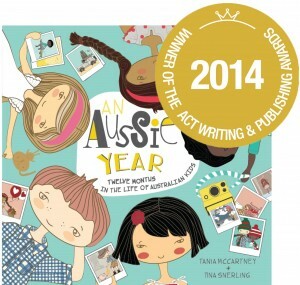 The written text is minimal, often in speech bubbles and short lists; such as what children were reading in the early 1900s – Seven Little Australians, The Tale of Peter Rabbit, The Wind in the Willows, and playing in the 1990s – Rugby League, Power Rangers, Little Athletics, Tamagotchi and Super Soaker. 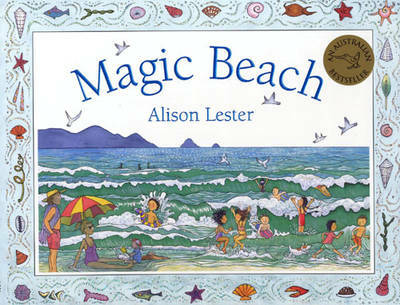 It’s great to see 90s children reading Magic Beach by Alison Lester, not least because she features in Hush as well. 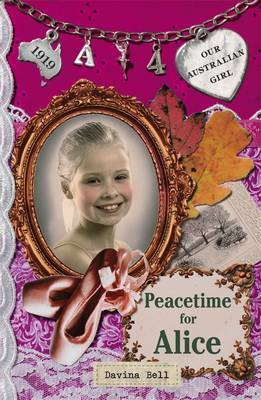 Jackie French also appears in both books, here with Diary of a Wombat. Children should be fascinated by changing Australia. 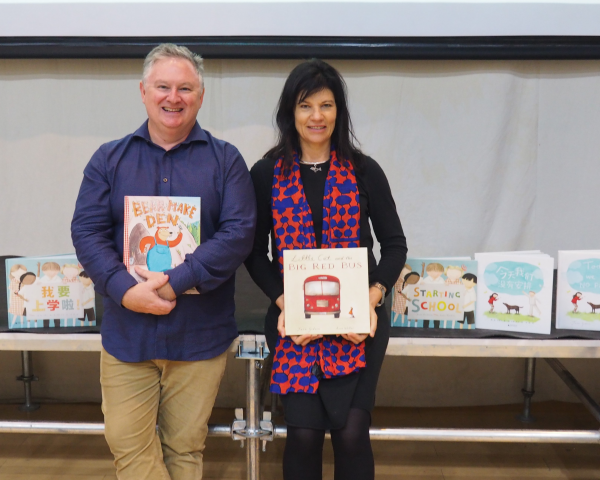 No doubt extensive information has been carefully honed to make Australian Kids through the Years accessible and interesting. It is also very well designed. 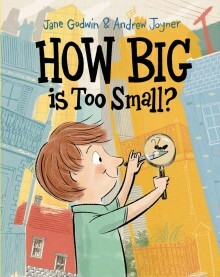 How Big is Too Small?, Jane Godwin (author), Andrew Joyner (illus. ), Penguin, 2015. It’s all relative, really. A big brother is tall, but not compared to his father. An ant’s a small creature, but not as small as a flea. Individual leaves are small, but each one contributes to a bigger picture – they make up a tree. And a tree has to start somewhere – as small as a seed. From the philosophical brilliance of award-winning author, Jane Godwin, with the perfectly matched pairing of the superlative, Andrew Joyner, ‘How Big is Too Small?’ is a book of monumental wisdom and charm. Sam, the narrator, is told by his older brother that he is too small to play ball games with the big boys. With a heavy heart, he returns to his room, and he begins to ponder this line of reasoning. Soon, he is making insightful observations, first within his room, then outside his window. It started with a ball and an ant and a flea, then the leaf and the clouds roll onto his radar. As his idea grows, so does his confidence, and when he is needed to rescue the ball atop the roof, Sam makes another incredible discovery… A new friend. They form a bond, and are able to watch over the whole city from their own lookout construction. And with a fresh outlook on the world, and on his big (small) brother, who (or what) is too small now? 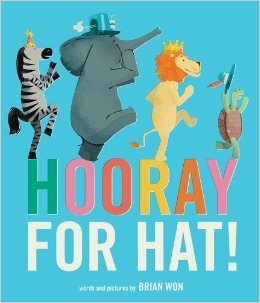 Godwin’s rhyming text is riveting, rollicking and masterful, reminiscent of Suess’s language. 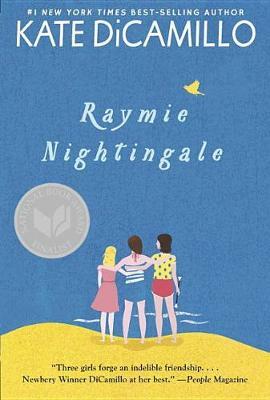 She has created this simple story about fitting in, being included and growing up, but with added depth and clarity that give readers the autonomy to question the big (and small) nuances of the world. 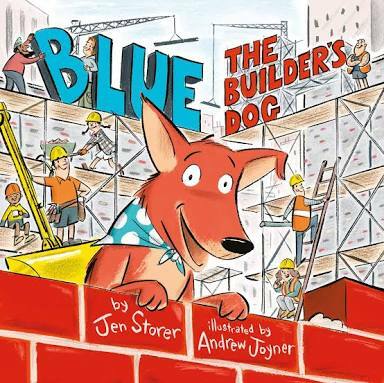 Andrew Joyner has cultivated the seed, so to speak, effectively including loads of visual details about Sam’s philosophical interests to facilitate further discussion and hours of perusal by the book’s audience. His characteristically bold, energetic cartoon illustrations, with some collage features, simply take the story to another level – they bring about a sense of familiarity, are naturally captivating, thought-raising and eye-catching. From close-up shots of falling leaves, to sketches of buildings, scaled diagrams and handmade telescopes, there are plenty of references to perspective and proportion that can be explored. ‘How Big is Too Small’ is an intriguing read-aloud picture book that encourages reflection and creative thinking, and self-acceptance, delightfully fitting for any sized person from age four. Having two kids under five is busy enough; constantly picking up after them, the daily hustle and bustle, and the shouts, shrieks and laughter that goes with sibling shenanigans. But what about young, lively, always busy, curious twins? Now that would be a handful! 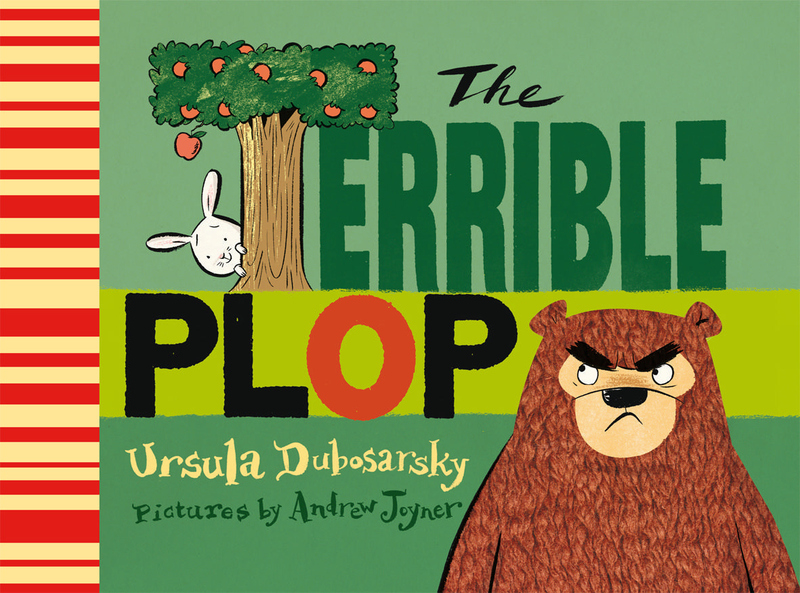 Ursula Dubosarsky and Andrew Joyner make a great award-winning team, already bringing us The Terrible Plop and Too Many Elephants in This House, which was chosen as the 2014 National Simultaneous Storytime picture book. 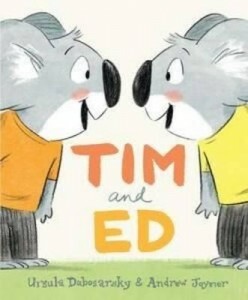 And another terrific team they have introduced more recently, are the adorable Tim and Ed. 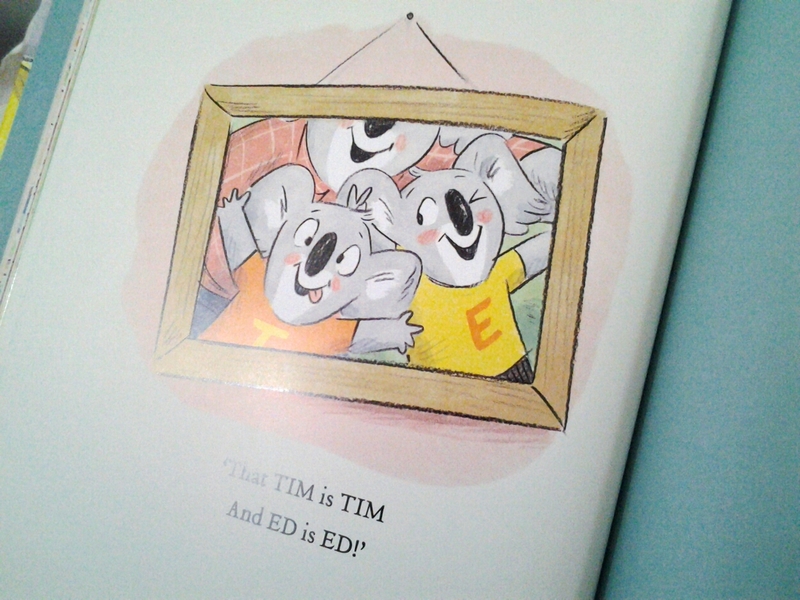 Tim and Ed, identical twin koalas, are pretty much the same. With their matching eyes, mouth, feet, and head, and their arms, legs, knees, nose, ears and toes that are the same. The only thing differentiating them are their initials on their tee shirts. In their colourful, safe world with their Dad, they share a definite cheekiness, curiosity about their twin existence, and an unequivocal bond. ‘I want to be the same as him!’, Ed reveals, as no contrast will be accepted, even if caused by a dirty, wet pond. Absolutely exhausting their poor old Dad, this duo’s energy just doesn’t seem to tire. 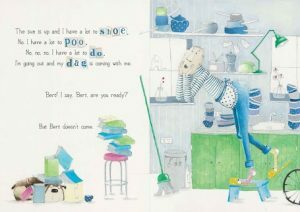 With a noisy racket and a toy-ladened house, Dad and Auntie Pim join forces to organise a well-deserved break for the single father. However, their sense of security is suddenly shattered when the twins discover that they will be spending the night apart. In the beginning they hardly notice each other’s absence, enjoying their time crashing toy trains and racing bikes around the yard, and dining on spectacular meals. In the quiet calm of the night they notice the missing presence of each other’s company. But upon reuniting the following day, with the reassurance of their Dad, the koalas realise a little bit of independence can be fun. And although they may look the same, they each have their unique qualities, which makes them special individuals. 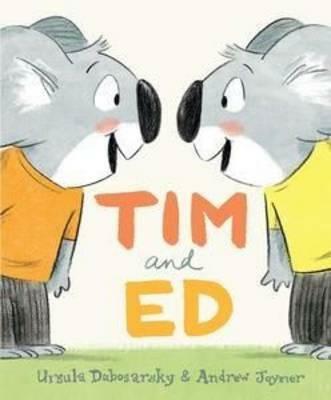 Tim and Ed is a gorgeous picture book that perfectly matches Ursula Dubosarsky’s rollicking, rhyming storyline with Andrew Joyner’s lively, expressive illustrations. 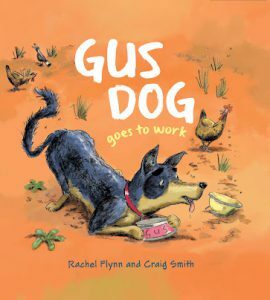 Dubosarsky’s real life conversations between father and sons, and activities written with descriptive text, are paired with Joyner’s accurate facial expressions and charmingly drawn details, including a typical Aussie backyard and messy family living room. 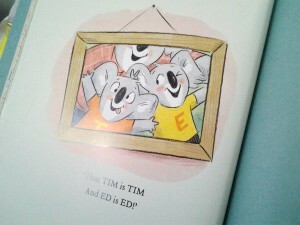 Children aged three and up will adore the moments shared with their siblings and parents after reading Tim and Ed. 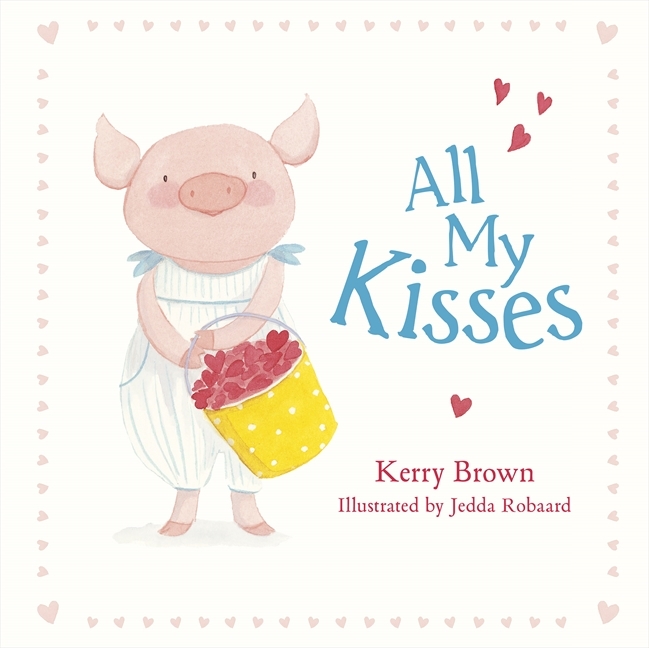 With action-filled behaviours that they can relate to, delightful and engaging illustrations, and learning about being individual and independent, especially when you are a twin, it will be easy to get attached to this picture book. 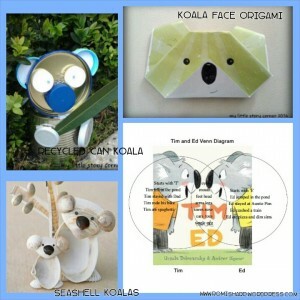 For some fun and educational koala activities while you wait for your copy of Tim and Ed to arrive, head to www.romisharp.wordpress.com/tim-and-ed-teaching-notes. 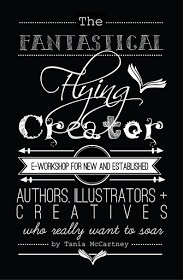 Here’s a little snippet of what you will find. 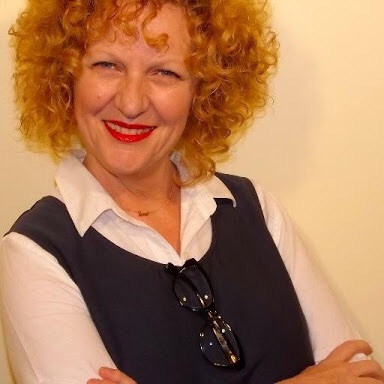 Author Ursula Dubosarsky? Check. Illustrator Andrew Joyner? Check. Elephants? Check. But not too many at all. 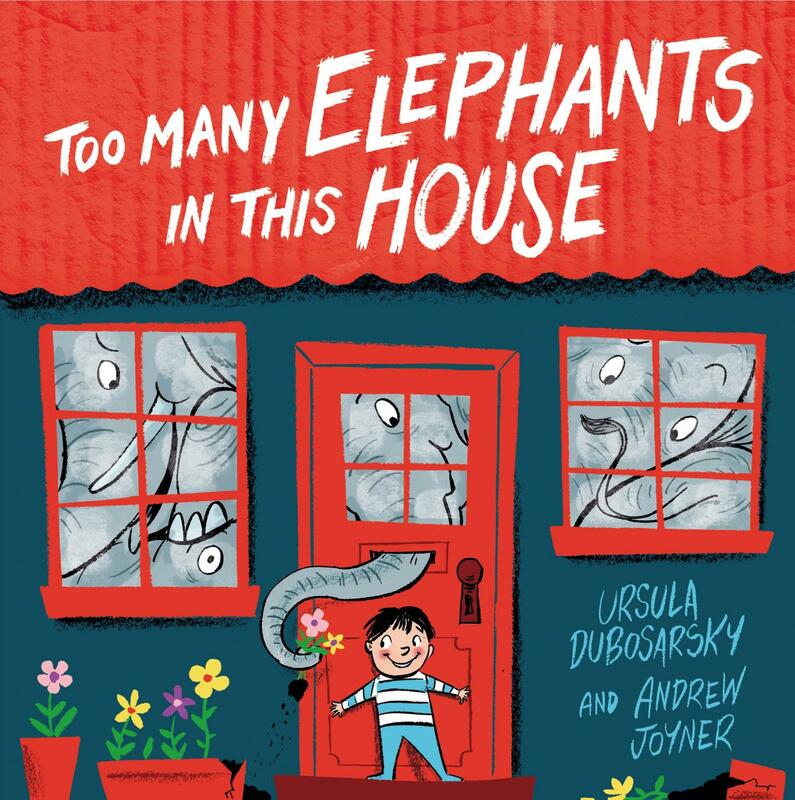 In fact, this book wouldn’t be even half way as cool if it didn’t have simply too many elephants, which raises the question: can anyone really have too many elephants? Eric really likes elephants. He has them everywhere. In the living room, in the kitchen, in the hallway, bathroom and bedroom. 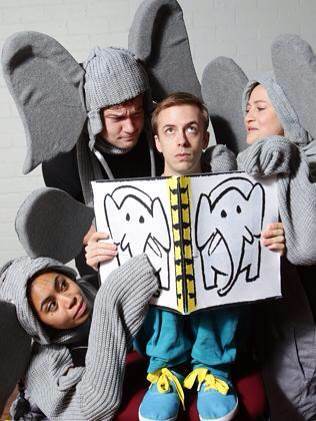 There’s an entire herd of rollicking elephants delighting and engaging this young lad from dawn ’til dusk. Naturally, Eric is devastated and will try anything to keep his baggy friends safe, including thinking up a very efficient means of elephant storage. 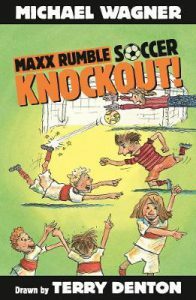 Dubosarsky’s penchant for childlike fun shines through in this adorable book, with Andy Joyner’s timeless and joy-filled illustrations taking her text to even greater heights. With a deliciously retro feel, this is imaginative, childhood magic at its best. 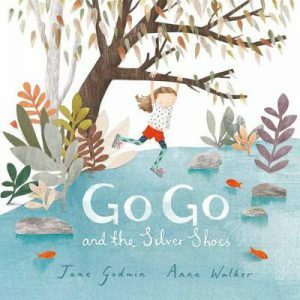 A must for picture book collectors – and kids. 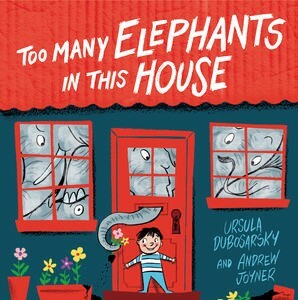 Too Many Elephants in this House is published by Penguin. 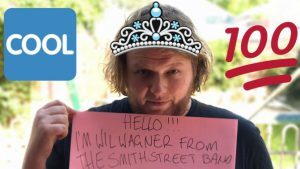 Review – What’s the Matter, Aunty May? Our wee little man is a helpful lad. He loves to help his Aunty May clean her stunning house, teetering with priceless antiques and tidyness, by sweeping, polishing and washing up – antique cups and vases, naturellement. But alas, it seems our little one is a tad clumsy, a smidge over-eager, teensy bit of a klutz. Whilst Aunty May plucks at a harp in le salon, our lad sets about poking holes in screen doors with long-handled brooms, soaking the cat in red ink, sucking the budgie into the vacuum cleaner and causing a book avalanche. 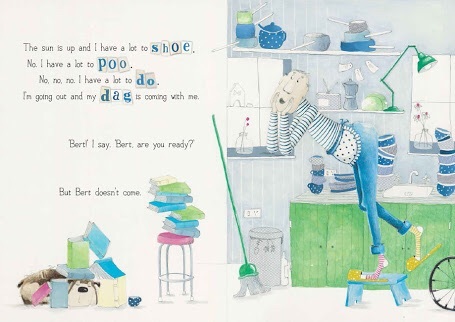 Poor Aunty May’s world is turned upside down and by the end of the book, she – and her house – a right schemozzle. Can a little bit of help actually be a hindrance? Author Peter Friend has penned a hilarious tale, in rhyming text, that will make kids shiny-eyed with amusement. 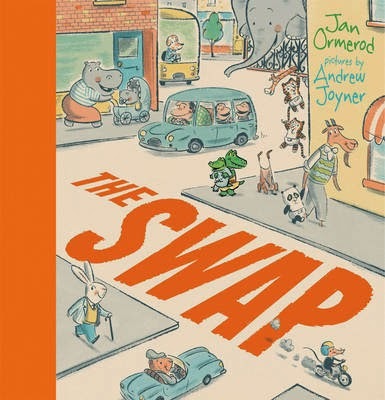 Illustrations by Andrew Joyner take this already rollicking story to even greater heights with his truly divine, retro-inspired illustrations that a pure eye-candy. 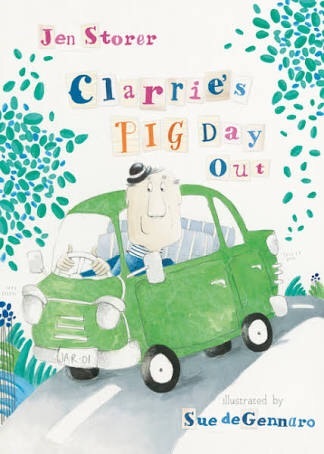 The looks on Aunty May’s face, the nonchalance on the face of a little boy who really means well, the scrumptious detail like the shattered-and-glued plates on the rack in the kitchen that imply rather consistent well-meant aide – this is a book resplendent with cartoonish hilarity, whilst still packing scrumptious literary punch. With somewhat Seussy undertones, in terms of the rhyming text and outrageous happenings – floods, avalanches, Aunty May caught in the ceiling fan – What’s the Matter Aunty May? 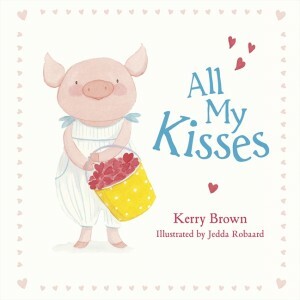 is a must for picture book lovers – and is a truly beautiful all-rounder of a production. . . something we’ve come to expect from Little Hare. What’s the Matter, Aunty May? is published by Little Hare.